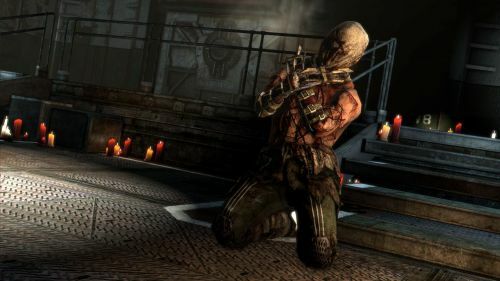 Dead Space 3: Awakened starts almost exactly how the Dead Space 3 starts - with Isaac in his apartment. It isn't long before he realizes it's a vision, one he's sharing with John Carver, who is also experiencing a bit of the same delusion. The rest of their journey the two struggle with what happened - whether or not they were dead after the events of Dead Space 3 which saw them bringing down one of the maker moon monsters. A lot has been made of Awakened in that it would bring back a lot of the horror elements that made the series so famous. And while there's definitely a more tense feelings to the game and there's plenty of jump-scare moments - it's still a shoot fest. This is sort of compounded by the fact that the game throws a ton of new upgrade circuits at you that provide maximum upgrades to your weapons - double +3 circuits were extremely common. This made our already extremely overpowered duo of Isaac and John even more overpowered. There are some cool moments throughout the new campaign, and there's a whole lot of "is this really happening?" type scenarios. There's even a moment where John and Isaac aren't sure if they are shooting at each other or at bad guys. The whole "Are you seeing what I'm seeing?" mechanic is utilized over and over with some decent execution. The DLC seemed fairly short - with only three chapters to play through. The first two seemed meaty enough but the third was a quick run and the "final battle" felt a little too much like Dead Space 2's. I won't spoil the ending but there's a huge cliff hanger that definitely sets things up for a sequel. The two hour romp is basically the price of a movie ticket for about the same length worth of entertainment. Perhaps its fittings as some of the best highlights of the pack come from the character interaction and dialogue between John and Isaac. 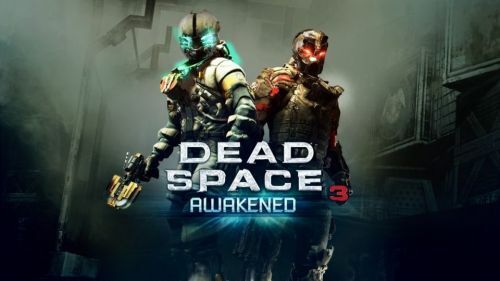 Dead Space 3: Awakened is available on the Xbox 360 and PlayStation 3 and features two player online co-op. The publisher supplied a code for the content for review purposes. Page created in 0.4402 seconds.